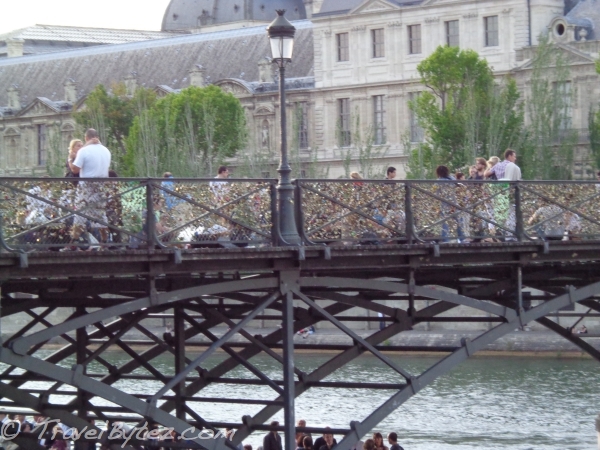 On the way back from dinner one day in Paris, we stumbled across the Pont des Arts or Passerelle des Arts. The Pont des Arts or Passerelle des Arts is a pedestrian bridge that spans across the Seine River, linking the Institut de France and the central square (cour carrée) of the palais du Louvre. According to Wikipedia, this nine-arch metallic bridge was the fist metal bridge in Paris built for pedestrians. The bridge served as a place for art exhibitions and is today’s platform for painters, artists and photographers who are drawn to its uniqueness. Besides being a bridge with a unique view, it seems to have taken on another meaning, and a romantic one at that. It seems that in recent years tourist couples have been caught up with the fad and concept of declaring one’s love, with keys and locks. 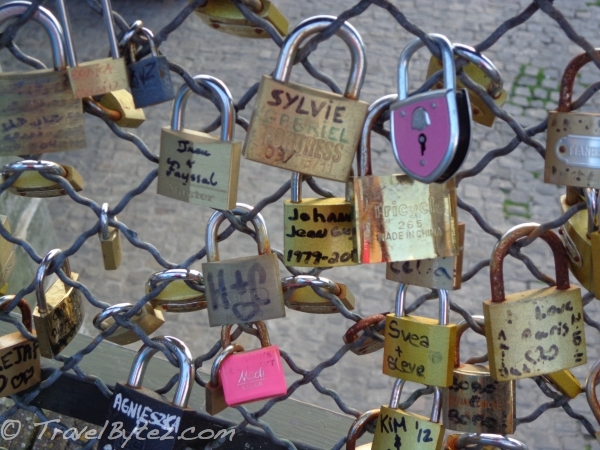 Couples actually attach padlocks to the railings or side of the bridge, write their names on the locks and throw the key into the river below as a romantic gesture. Although the city of Paris has not yet adopted a defined policy on how to handle this fad, the Paris town hall often removes the locks or replaces parts of the grid when it gets overcrowded. So it would seem that every romantic couple gets to place their lock on this bridge, but whether it stays on the bridge or railing is a different story altogether. 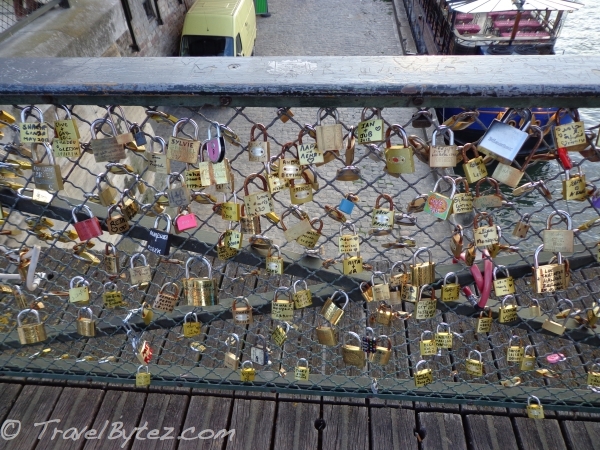 Since I'm no romantic, I guess it's the symbolic gesture of attaching the locks that matters?